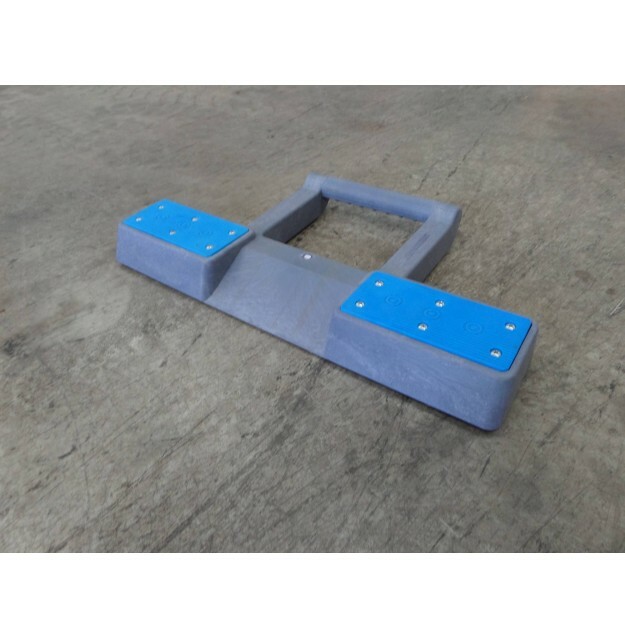 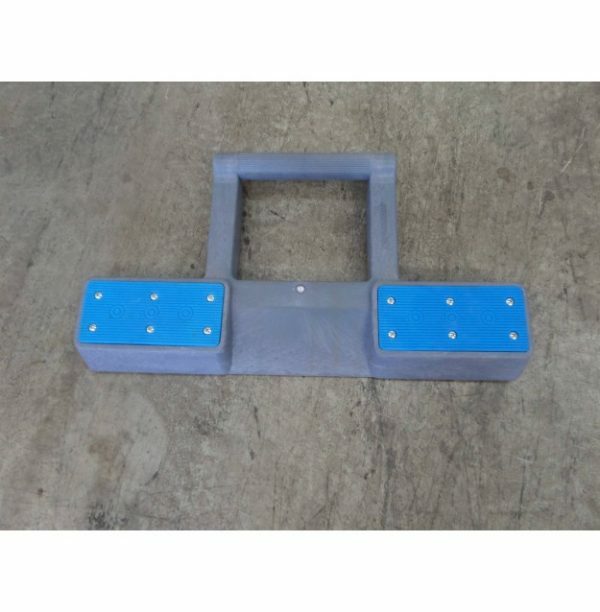 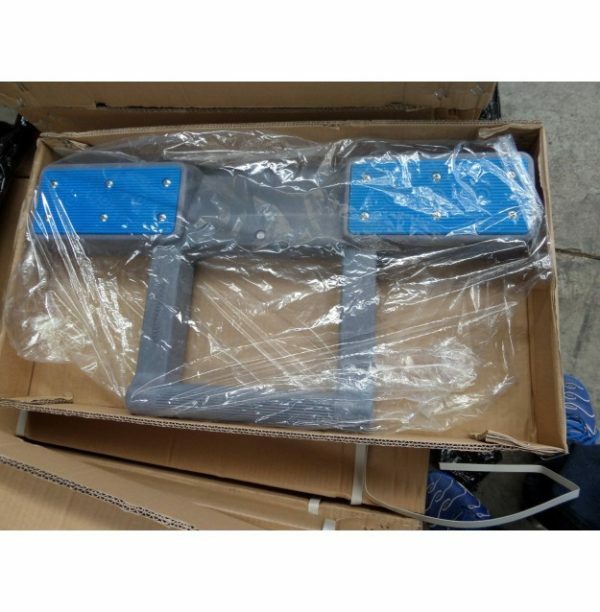 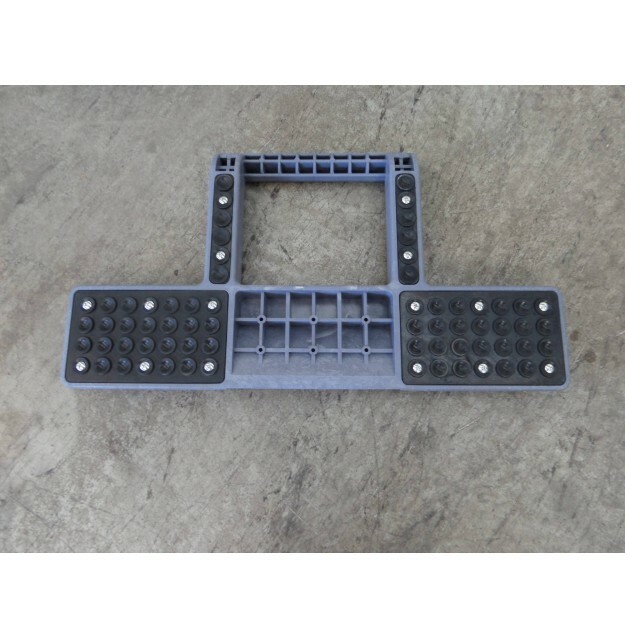 Our unique pallet jack stopper is designed to eliminate freight, truck, and trailer door damage due to runaway pallet trucks. Its made to prevent any movement on the floor of a truck, trailer or van. 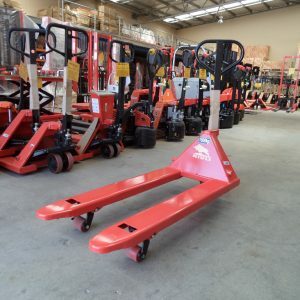 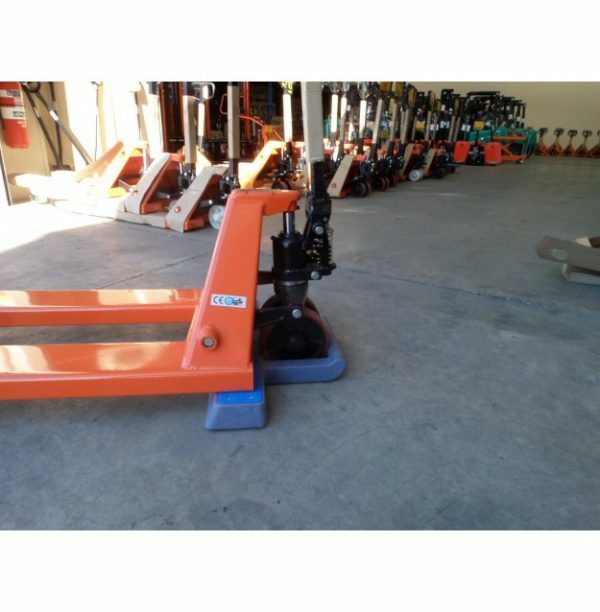 It’s easy to use, easy to store and it protects valuable freight and equipment from damage caused from drifting pallet jacks. 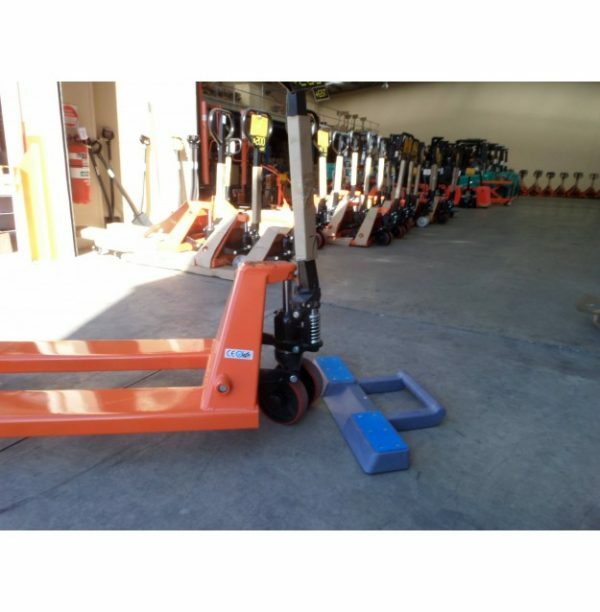 It can be easily picked up and placed in the spot you require. 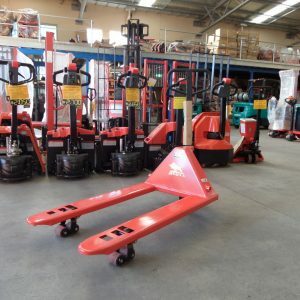 Save time and work safely – no more time wasting to tie pallet jack down or to flip it upside down. 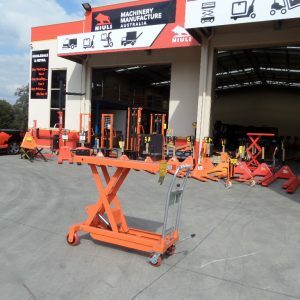 Savings through increased work efficiency and time. 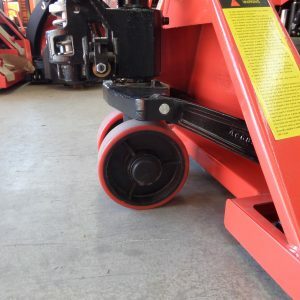 To secure jack, simply roll steering wheels up the incline and into the holding area.